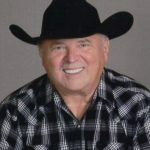 Jim Lemmon, 69, of Granbury, passed away on Monday, November 19, 2018. A celebration of life service will be held in Springfield, Ohio at a later date. Jim, the second of four children, was born in Piqua, Ohio to Hugh and Lila Lemmon. He proudly served in the United States Army. Jim was a farmer from the word go. He loved Dodge Cummings diesel engines, all things cowboy and John Wayne. Jim loved carpentry and was a master carpenter. He transferred from Wright Patterson AFB in Ohio to the VA Hospital in Phoenix, Carpentry Division, where he retired. Jim married Dianna on December 19, 2011 in Pigeon Forge, Tennessee. He was an active member of Triple Cross Cowboy Church since moving to Granbury. He was preceded in death by his father: Hugh Lemmon, brother: Bill Lemmon, sister: Janice Hurlock and stepfather: Bud Russell. Jim is survived by his wife: Dianne Lemmon, children: Jarred Escalade and wife Aracely of Maricopa, Arizona, and Keri Rae Longo of Granbury, grandchildren: Dezarae Rios of Granbury, Lacey Rios of Delaware, Ohio, Leilani Escalade of Maricopa, Arizona, and Rafael Escalade of Maricopa, Arizona, one grandchild and one great-grandchild on the way, mother: Lila Russell of Springfield, Ohio, sister: Amy Richards of Springfield, Ohio, special nephew: Shelby Richards, numerous nieces, nephews and a host of loving friends and church family. Be the first to share a memory of Jim .